Martingale & Company-That Patchwork Place: Sock Yarn Shawls II. Discover more designs for everyone from beginners to advanced knitters. Patterns range from small shawlettes to large circular shawls and many are made from a single skein. 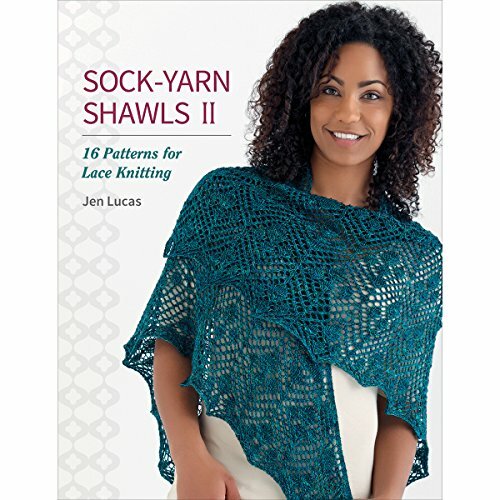 This book contains sixteen patterns for single-colored and multicolored shawls. Author: Jen Lucas. Softcover; 80 pages. Published Year: 2015. ISBN 978-1-60468-476-6. Imported.